Lil Wayne's acclaimed mixtape, with features from Juelz Santana, Curren$y, Pharrell, Mack Maine, T.I. and more. 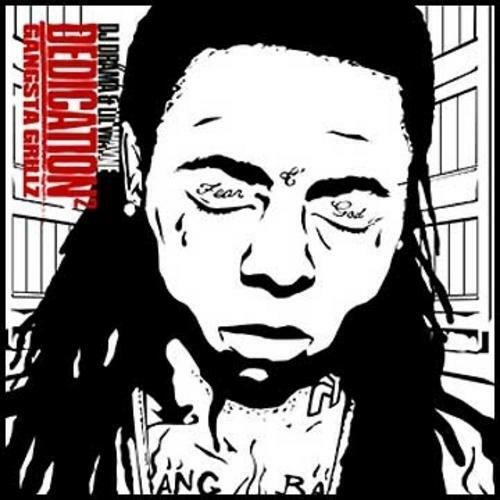 Download Dedication 2, the latest project from Lil Wayne, released on Monday, May 22nd, 2006. Lil Wayne's chances in this game are improving with each new release, and Dedication 2 is no exception - quite the opposite, in fact. It's a nice addition to the impressive catalogue Lil Wayne has been building over the years. We're definitely anticipating the next move. These artists contributed to the project: DJ Drama, Freeway, Willie the Kid, Detroit Red &am, Juelz Santana, Curren$y, Mack Maine, T.I., Remy Ma, Pharrell. Make sure to visit our mixtape section to stream and/or download Dedication 3, a tape released by Lil Wayne on Friday, November 14th, 2008. It features such cuts as Best In The Business, Get 'Em, They Still Like Me. Hit up Lil Wayne's profile page for the latest info, news, songs, and mixtapes. Remember to follow Lil Wayne on Facebook and Twitter.